We started into our Data Management unit this week. I LOVE this unit! It's so easy to integrate it into our other subjects and interests, and the students always experience a lot of success with it. And this year, our first graphing lessons really POPPED ;). As our diagnostic activity, I gave each student a sticky note and asked them to write down all the different graph types they could think of. We posted the stickies on the board, and made a tally chart of the frequency of each type of graph. Together, we built a bar graph, and discussed all the different components of the graph. I made a large note and graph on chart paper, and students each completed their own. The next day we turned this graph into a journal entry for our math journals ... we made pop-up bar graphs - and they turned out AWESOME!!! The kids thought this was so cool (and so did I). For time-saving purposes (and to allow for a little mastery) we used the same data as the previous day. We discussed intervals for both graphs the next day. We completed a bar graph activity that had the students incorporating intervals into their bar graphs. I asked the students how many markers they had in their desks (can you believe one of my students had 90 markers!!!) and we collected all the data. After that, the students worked independently to complete their own graphs. 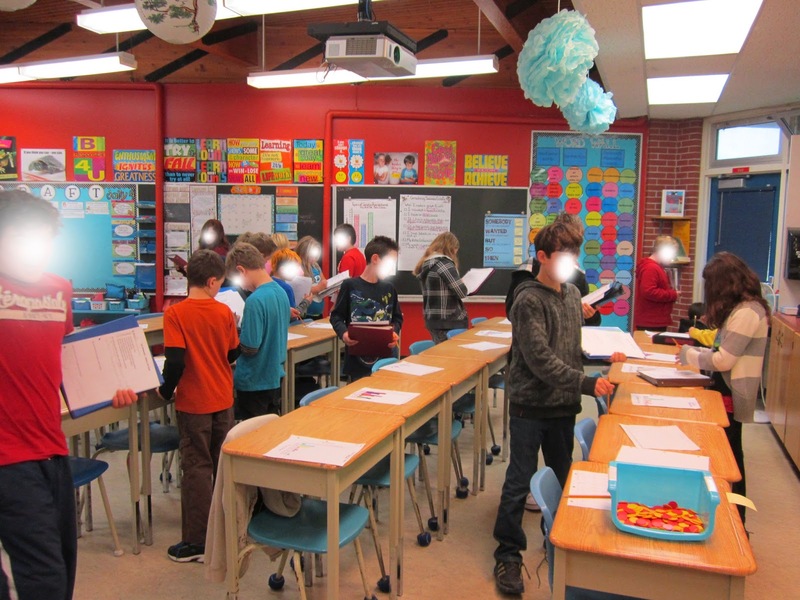 When they were finished, we had a gallery walk for our reflection. Students filled out the top half of their reflection sheets (success criteria checklist and reflection) before they went on the gallery walk. For the gallery walk, students put their completed graphs on their desks. 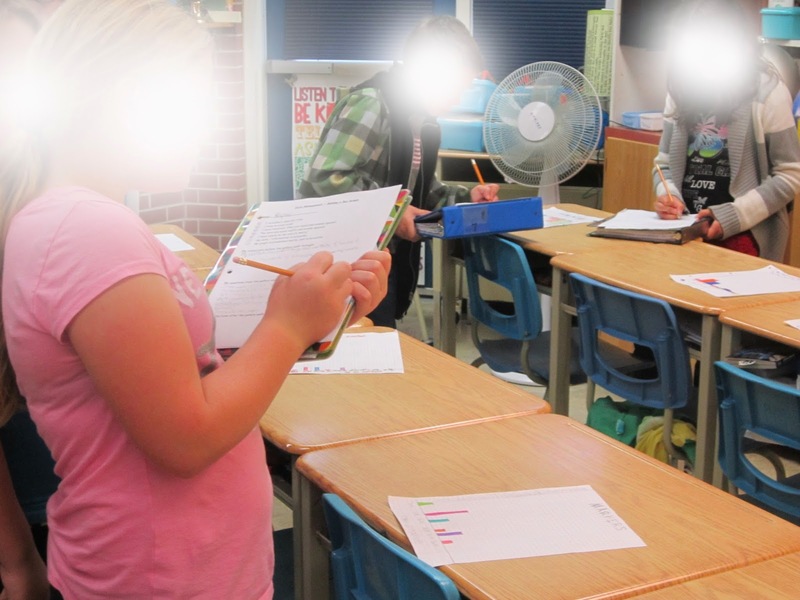 They then walked around the classroom with their reflection sheets to come up with 3 questions / or things they noticed to ask the whole group when we reassembled. This was a lot of fun - and I LOVED some of the questions they came up with. It let to great class discussions about choosing the most appropriate scale and intervals, and how to best show the range of data on a bar graph. When they were finished their gallery walk and class discussion, students had to fill in the last part of their reflection. My students had so much fun with these activities, I thought yours may enjoy it, too. I made up a graphing resource for these lessons and posted it at my TPT store. 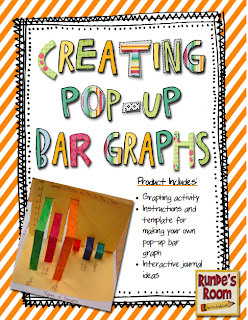 Creating Pop-Up Bar Graphs contains 2 different bar graph activity ideas, instructions and a template for creating the 3D model, and instructions and handout for the gallery walk and reflection. You can click on the picture below to preview it. 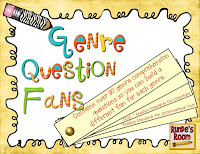 Genre Question Fans - Perfect for guided reading groups, read alouds, partner reading time, genre minilessons, etc. Resource contains 80 different questions to support the reading of different genres: fictional narrative, personal narrative, poetry, persuasive text, and informative text. 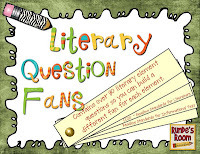 Literary Question Fans - Perfect for guided reading groups, read alouds, partner reading time, reading minilessons, etc. Resource contains 80 different questions to support the reading of different literary elements: author's purpose, characterization, figurative language, point of view, and tone and mood. 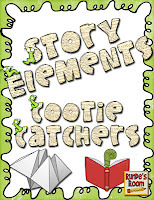 Story Elements Cootie Catchers - Different cootie catchers for studying story elements: plot, setting, character, conflict, point of view, and theme. My kids LOVE using these for review after independent reading or guided reading groups. And don't forget I have a fun little FREE Halloween Writing Activity in case you're trying to keep your kiddos busy (and productive) in the next few days. Just click below to download your own copy. Happy Sunday!!! I'm heading back outside with my kiddos to enjoy this beautiful fall day ... and maybe rake up a few leaves. Love this! What a fantastic idea. You are so creative. I love reading your blog. Thanks for sharing and have a fantastic week! Awesome! I am going to have the kids tally their loot from Halloween. Everyone in our class is going out and I am making my ten year old tally his for back up! We brainstormed categories and we are going to have information in by the Friday after Halloween. This should be a fun Friday! If we do the stuff you did first, we can break into groups and break into groups to use different kinds of graphs to display result. I am also thinking, mean, median and mode with this data!! Thanks for the great stuff Jen! You rock! I use the "Comprehension" question fans with my guided reading groups. My principal came in to my room and saw me using them. She was *very* impressed! Love them! Thanks for the resources! You have the most interesting things to make kids learn. I teach third grade but think they can do part of the graphing activity. You are terrific!! Nancy P.
You have the best interactive notebooking activities I've ever seen. So glad you're sharing them! Thank you! I never thought to use pop-ups for anything other than cards, you're brilliant! I would love to feature some of your awesome ideas as part of my 100 followers celebration, would you please consider linking up? Love the pop up graphing ideas, thanks for sharing!! I purchased your interactive math journal in October and it is the BEST $14.++ I have spent in all of my 25 years of teaching! (And that includes allllll the educational theory books that *have* made a difference in my pedagogy.) But this is not 'preaching to the converted'... this is 'hit the ground running' and gets your own creative juices flowing. I love it. I am happy with your Inclusion Instruction. I should be adopt in future. Cheers for your happy details, this information Bulk Yacon Syrup Extract suppliers sites are going to be definitely support intended for.